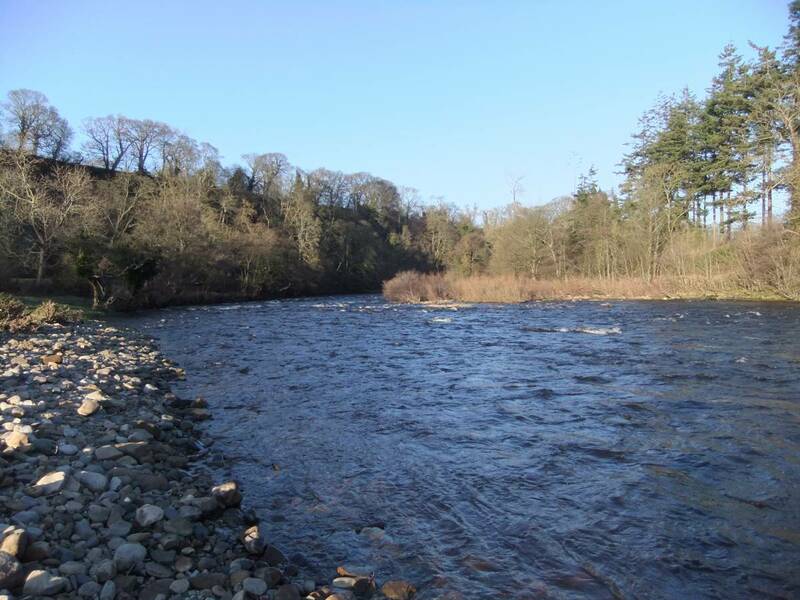 Location High Cliff Waters. Northern edge of the ravine of the River Tees Close to track leading down through Holme Wood. Geology This shap erratic boulder is embedded in situ in boulder clay and located at the top of the steep northern side of the ravine of the River Tees. 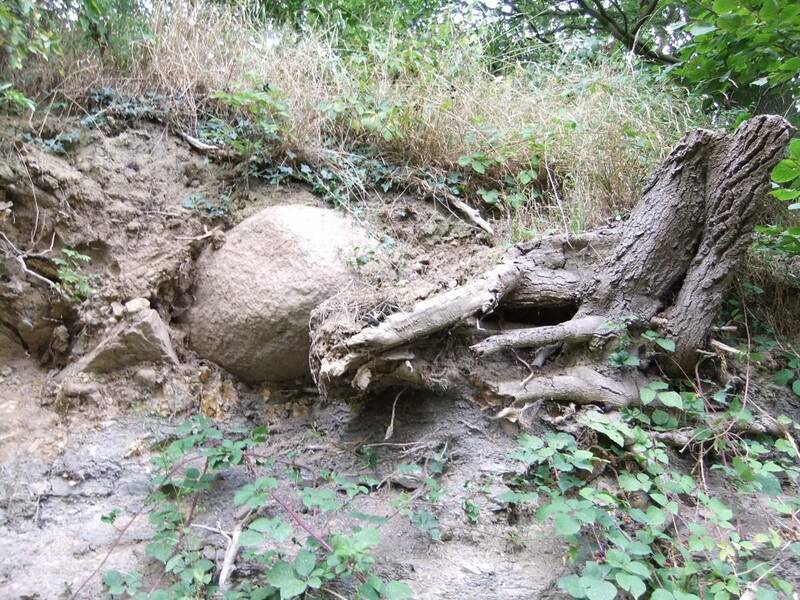 This shap boulder is clearly visible in the eroding bank of boulder clay which forms the side of the access track from High Cliff Waters down through Holme Wood. 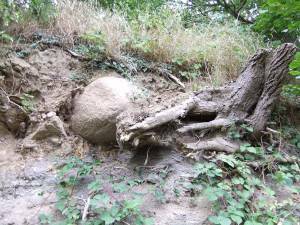 Record Name Shap erratic boulder on the Northern edge of the River Tees Ravine.in Holme Wood. Record Description See Geology Section above together with the attached photo images. Additional Notes It is unusual to find a shap erratic boulder firmly embedded in situ in boulder clay. From the composition of this boulder clay, it may be possible to assign this boulder clay to the final glacial advance and retreat or to one of the earlier glacial episodes. Image 1 Description Shap erratic boulder embedded in boulder clay at side of track down through Holme Wood.